Dr Gabriel David Weymouth Sc.D., M.Sc., B.Sc. 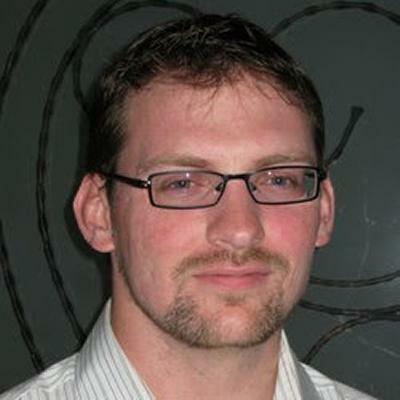 Dr Gabriel David Weymouth is an Associate Professor within Engineering and Physical Sciences at the University of Southampton. What is the simplest possible fluid system that will generate a chaotic response? How are invertebrates like the octopus able to accelerate so quickly underwater (while we are so bad at it)? How can you make predictions for a system that is both poorly understood and expensive to test? By the way – this is the rule, not the exception! My fields of expertise are computational models using both physics- based and learning based approaches, as well as bio-inspired design, high-energy free-interface flows, and nonlinear fluid-structure interactions. I have over 30 peer-reviewed papers and have co-supervised more than 10 students in universities in Singapore and the United States. I created the open source project Lily Pad as a teaching and research platform for fluid/structure simulations that is being used in universities around the world. 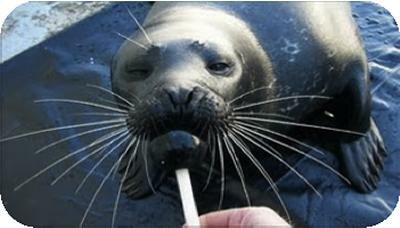 Harbour seal whiskers have a unique geometry, optimizing their ability to sense upstream disturbances while minimizing their own self induced motions. The complex, three-dimensional flow field in the wake of a surface ship contains a highly mixed air-water turbulent region that results in a detectable wake signature. Autonomous marine robots are used to survey and take water samples from unsteady coastal environments. Animals use flapping foils for efficient locomotion. This project uses the same idea to extract energy from ocean currents and tidal flows. Burst speed underwater vehicle inspired by the shape changing of cephalopods, which are the fastest marine invertebrates. A novel Cartesian-grid approach is developed to accurate model forces and separation on complex moving geometries such as swimming animals. The aim of this project is to develop a soft-bodied vehicle with augmented mission capabilities and survivability in order to perform inspection tasks in all those scenarios precluded to standard underwater robots and divers. To do so we intend to exploit the fluid mechanics properties of volume-changing bodies and the benefits of soft-robotics design. This project is entirely supported by the Natural Environment Research Council (NERC) within the “Technology Proof of Concept” programme, NERC grant NE/P003966/1. Weymouth, G. D., Wilson, R. V., & Stern, F. (2005). RANS computational fluid dynamics predictions of pitch and heave ship motions in head seas. Journal of Ship Research, 49(2), 80-97. Weymouth, G. (Accepted/In press). Roll damping predictions using physics-based machine learning. Paper presented at Computer Applications and Information Technology in the Maritime Industries , Tullamore, Ireland. Lidtke, A. K., Giorgio-Serchi, F., Lisle, M., & Weymouth, G. D. (Accepted/In press). A low-cost experimental rig for multi-DOF unsteady thrust measurements of aquatic bioinspired soft robots. Paper presented at IEEE-RAS International Conference on Soft Robotics, Livorno, Italy. Weymouth, G., & Giorgio-Serchi, F. (2018). 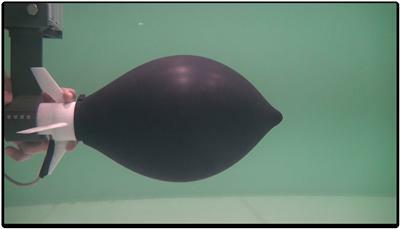 Analytic modeling of a size-changing swimmer. In IUTAM Symposium on Critical flow dynamics involving moving/deformable structures with design applications International Union of Theoretical and Applied Mechanics. Font Garcia, B., Weymouth, G., & Tutty, O. (2017). Analysis of two-dimensional and three-dimensional wakes of long circular cylinders. Paper presented at OCEANS'17 MTS/IEEE, Aberdeen, United Kingdom. Giorgio-Serchi, F., & Weymouth, G. (2017). Can added-mass variation act as a thrust force?. Paper presented at Oceans'17 MTS/IEEE, Aberdeen, United Kingdom. Giorgio-Serchi, F., & Weymouth, G. (2017). 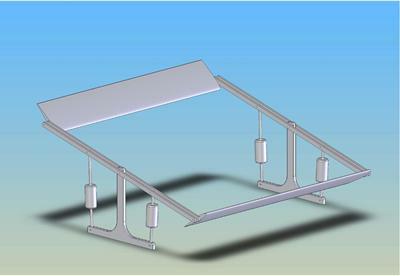 Design principles for thrust enhancement in shape-changing AUVs. Paper presented at High Speed Marine Vehicles 2017, Naples, Italy. Hubbard, I., & Weymouth, G. (2017). Physics-based and learning-based roll-damping predictions. In T. Lloyd (Ed. ), 20th Numerical Towing Tank Symposium (NuTTS 2017) (pp. 92-97). Netherlands: Curran Associates. Giorgio-Serchi, F., & Weymouth, G. (2017). Squid-inspired vehicle design using coupled fluid-solid analytical modelling. Abstract from 70th Annual Meeting of the American Physical Society Division of Fluid Dynamics, Denver, United States. Weymouth, G., & Giorgio-Serchi, F. (2016). Are juvenile squid schooling formations hydrodynamically optimal?. Fluid Dynamics and Collective Behaviour: From Cells to Organisms, Switzerland. Weymouth, G., & Bertram, V. (Ed.) (2016). Biologically inspired force enhancement for maritime propulsion and maneuvering. 401-414. Paper presented at 10th Symposium on High-Performance Marine Vehicles: HIPER, Italy. Weymouth, G., & Giorgio-Serchi, F. (2016). Octopus-inspired drag cancellation by added mass pumping. 69th American Physical Society (APS) Fluid Dynamics Division meeting (APS-DFD 2016), United States. Giorgio-Serchi, F., & Weymouth, G. (2016). Shape-changing pulsed-jet thruster for new generation AUVs. Next Generation Marine Power & Propulsion, United Kingdom. Mengzhao, G., Shengwei, M., Siracusa, F., Chang-Wei, K., Teck-Bin Arthur, L., Weymouth, G., ... Chih-Hua, W. (2015). 2D flow around stationary side-by-side square columns at low Reynolds number. 1-7. Paper presented at International Workshop on Ship and Marine Hydrodynamics, United Kingdom. Weymouth, G. D., Campana, E. F. (Ed. ), & Bertram, V. (Ed.) (2015). Lily Pad: towards real-time interactive computational fluid dynamics. Paper presented at 18th Numerical Towing Tank Symposium, Italy. Weymouth, G. D., & Maertens, A. (2013). Accurate near-body Cartesian-grid predictions at intermediate Reynolds numbers. 1-31. EUROMECH Colloquium 549 Immersed Boundary Methods: Current Status and Future Research Directions, Netherlands. Weymouth, G. D. (2013). Comparison and synthesis of 2D+T and 3D predictions of non-linear ship bow waves. 1-9. Paper presented at International Conference on Ocean, Offshore and Arctic Engineering, France. Taher, T., Weymouth, G. D., & Varghese, T. (2013). 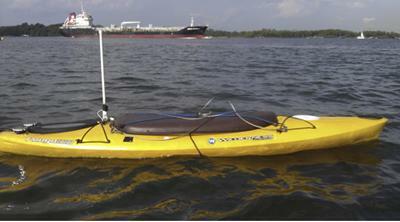 Novel platform for ocean survey and autonomous sampling using multi-agent system. Paper presented at OCEANS'13 MTS/IEEE, Norway. Patrikalakis, N. M., Weymouth, G. D., Kurniawati, H., Leighton, J., Papadopoulos, G., Valdivia y Alvarado, P., ... Khan, R. (2012). Modeling and inspection applications of a coastal distributed autonomous sensor network. Paper presented at International Conference on Ocean, Offshore and Arctic Engineering, Brazil. Weymouth, G. D., & Grandey, B. (2012). Physics-based learning models for future climate predictions. Frontiers in Computational Physics: Modeling the Earth System, . Weymouth, G. D., Dommermuth, D. G., Hendrickson, K., & Yue, D. K-P. (2006). Advancements in Cartesian-grid methods for computational ship hydrodynamics. Paper presented at 26th Symposium on Naval Hydrodynamics, Italy. Dommermuth, D. G., O'Shea, T. T., Wyatt, D. C., Sussman, M., Weymouth, G. D., Yue, D. K. P., ... Hand, R. (2006). The numerical simulation of ship waves using cartesian-grid and volume-of-fluid methods. Paper presented at 26th Symposium on Naval Hydrodynamics, Italy.